The best business relationships are personal and informal. That is exactly what Happy Sarah wants to say. This bouquet has a carefully chosen nonchalance. 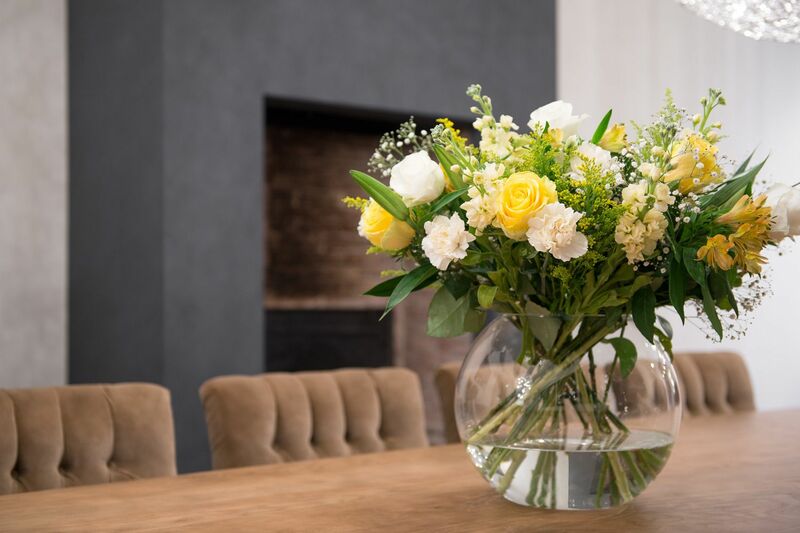 The yellow roses and carnations are prominent, surrounded by gypsophila and lilies. A beautiful personal gift from a good heart. Diameter 50 cm.